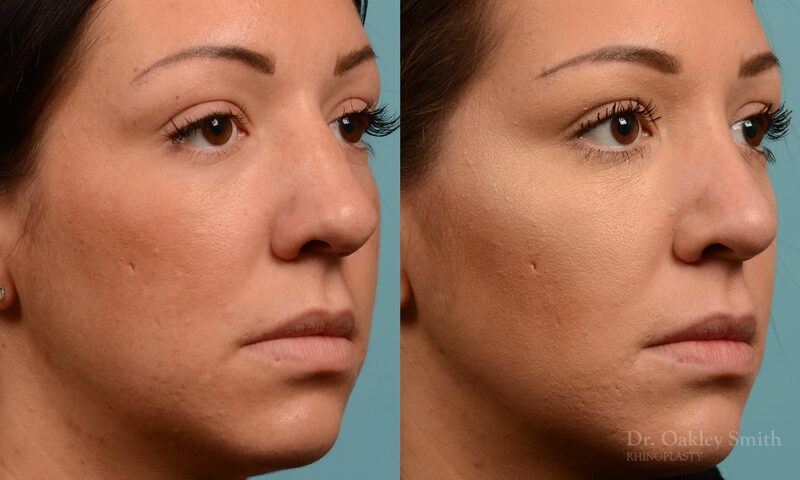 Our lovely young female patient wanted a narrower nose. She disliked how wide her bridge and tip were. 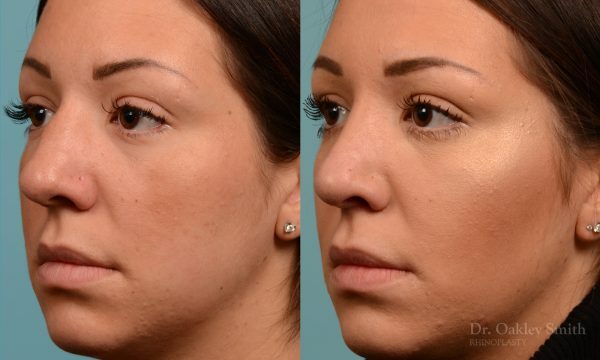 She wasn’t happy with her bump or overall size of her nose, but these were secondary issues. One can see her nasal skin is thicker than ideal. 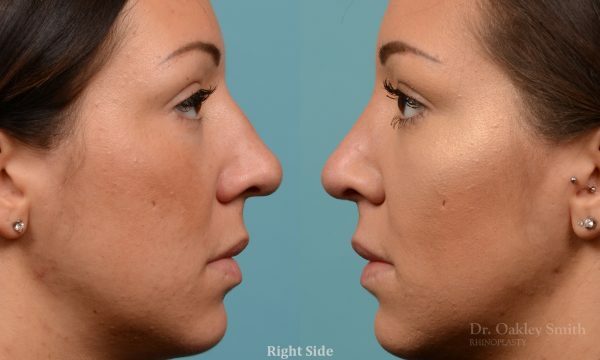 In spite of this her nose could be made 2 millimeters reduced in size plus narrow her bridge and tip. With her thicker skin, issues of irregularities across her bridge were highly unlikely to occur as can be observed. 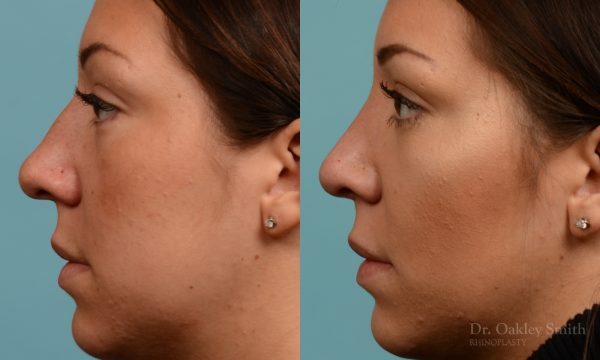 At the time of surgery, the reason for her wide nasal tip was discovered to be cartilaginous and not solely the thickness of her skin. This worked in her favour as treating cartilage is more successful usually than thinning thick skin. A deviated septum, as confirmed at the time of surgery, was also corrected on the inside, resulting in a higher long-term success rate. 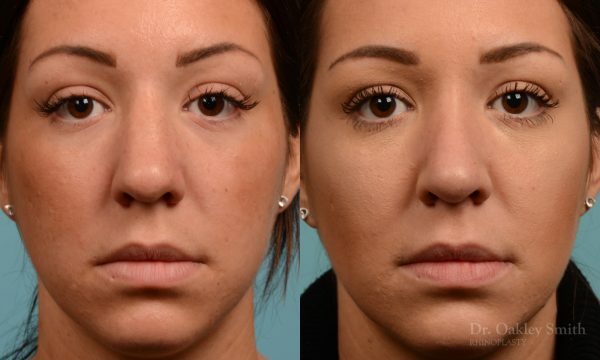 Because of her skin thickness, the results of surgery take longer to appear. Indeed often the one year mark doesn’t mean the results don’t continue to improve, as it usually does with thinner skin.